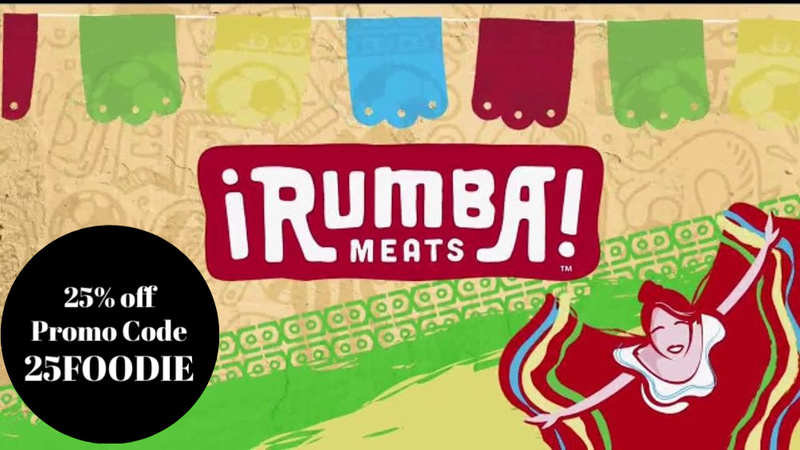 Scroll down for our special Promo Code you can use on your next Rumba Meats order! We are continuing our love affair with Rumba Meats Beef Oxtails. 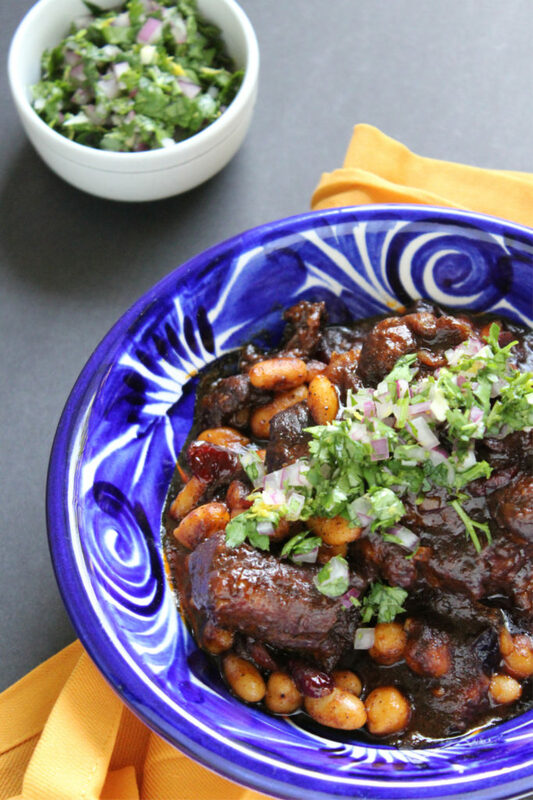 Our last recipe post featured a silky guajillo sauce with just enough heat. This time we are going for a smoky sauce made with dried ancho chilies. 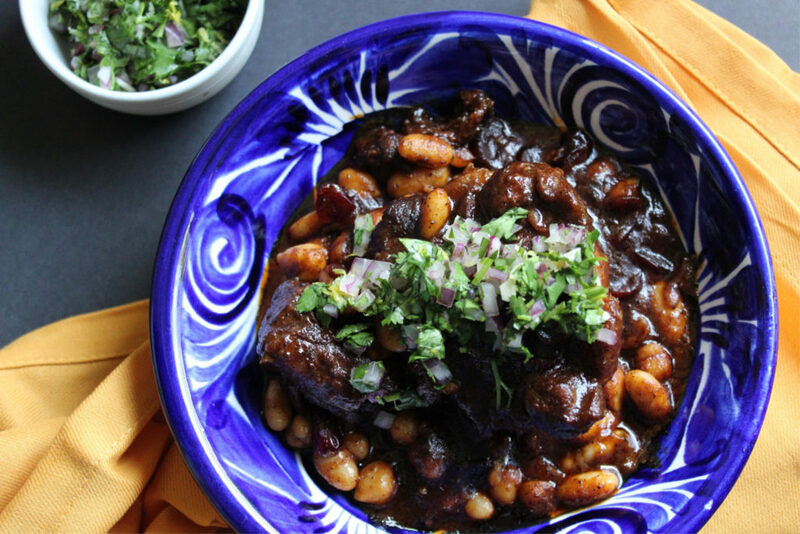 With cooler months ahead, oxtails slowly braised will warm your home and your pansa. 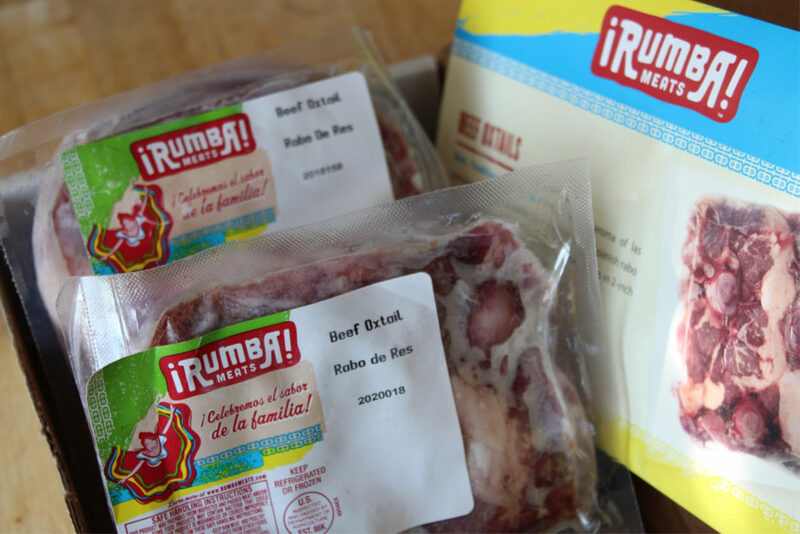 First, you should know that Rumba Meats are available to order online from Amazon, so you don’t need to hunt for oxtails or feel intimidated shopping. You just need to click, pay and track your package so you can plan your family’s meals for the coming week. This recipe uses a braising technique which takes time. But, most of it is not active cooking time, so you can go back to watching your novela. 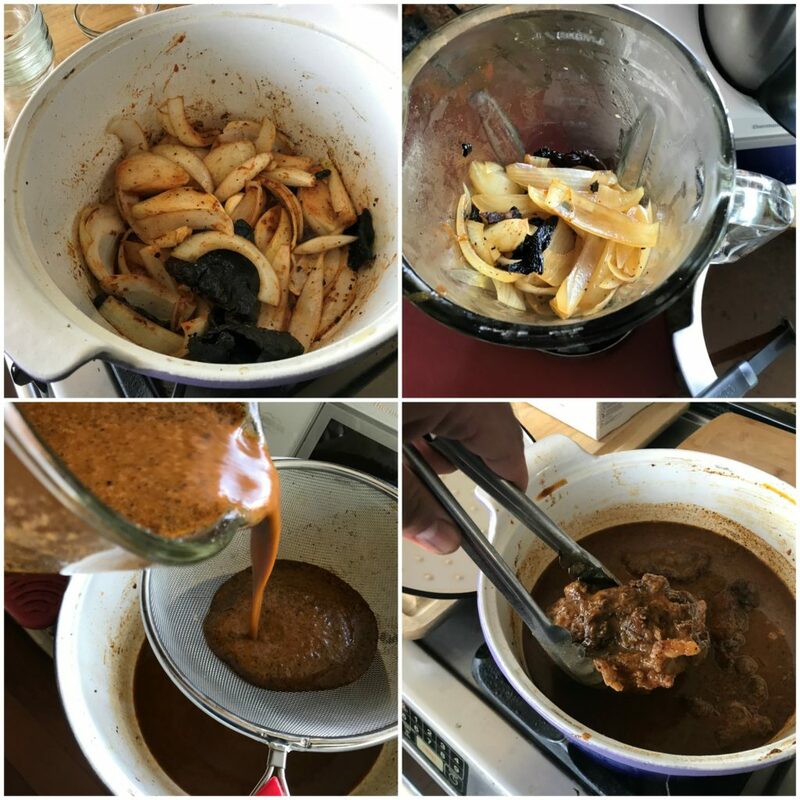 Low and slow cooking allows the tough connective tissue of the oxtail to soften, allowing the beef to become super tender. So, don’t rush it. Relax and enjoy the process. A unique twist in this recipe are the cannellini beans and sour cherries, offering two things: creaminess and sweetness. It’s a winning combination when paired with the smoky ancho sauce. Finally, the dish is comfort food, filling and warming in all the right places. So, to add a little brightness and to lighten up the dish, go the extra mile and make a fresh gremolata. It’s just a mixture of chopped herbs, garlic and lemon. 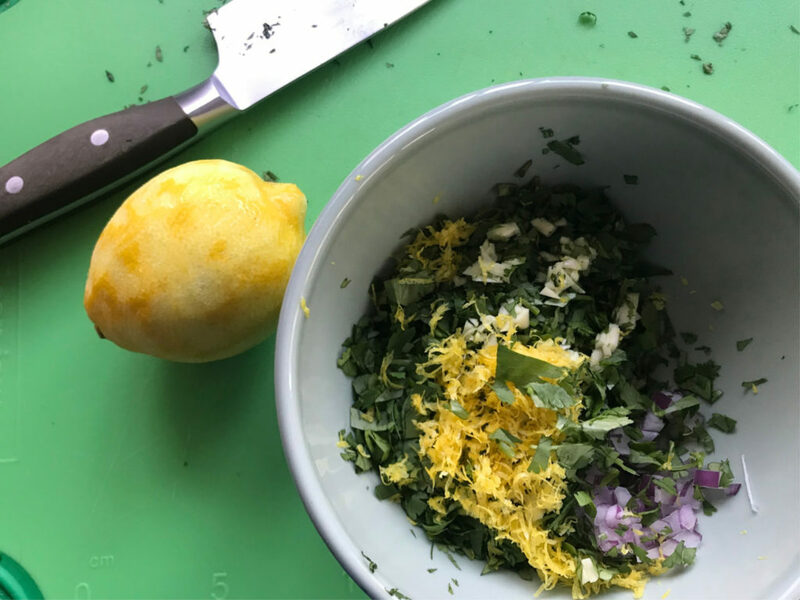 Here we mixed it up a bit by making a cilantro gremolata with fresh lemon juice and lemon zest, bah-zing. Be sure to drop us a line and let us know if you decide to try out this recipe. How about a little extra incentive? Like 25% off your order? Use our special promo code 25FOODIE when checking out to get 25% off your Rumba Meats order! Follow Rumba Meats on Facebook, Instagram and especially YouTube, where you can find lots of great cooking videos. 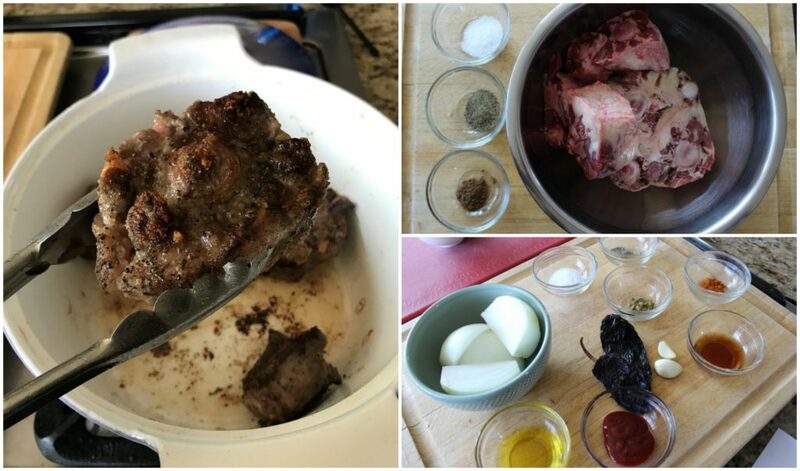 Rub the salt, pepper and allspice into the oxtails. Wrap with cling wrap and refrigerate 2 hours, up to overnight. Heat 4 tablespoons oil in a Dutch oven over medium heat. Lightly dust spice-rubbed oxtails with flour and sear in batches until well browned on all sides, about 10 minutes per batch. (Do not overcrowd pan to prevent steaming.) Place on paper towels to drain. Add ancho chilies to same pot and fry 2 minutes, adding oil as needed. Stir in onions, garlic, garlic chili sauce, fish sauce and cayenne and cook until onions begin to soften, about 5 minutes. Add chicken stock and bring to a boil over high heat. Turn off heat, cover and let sit 15 minutes. Puree sauce mixture in batches. Strain through a fine sieve. Return sauce to pot and bring to a boil over high heat. Add reserved oxtails, reduce heat to a slow simmer. Cover and cook for 1 hour 30 minutes. Gently stir in cannellini beans and cherries. Cover and cook 30 minutes. Serve with gremolata (recipe below). 30 minutes before oxtails are ready, add all the gremolata ingredients in a bowl and mix until fully combined. Cover with cling wrap and refrigerate until ready to serve.